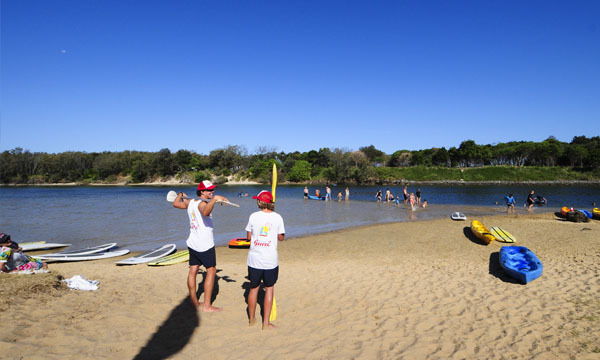 The tranquil clear water of Cudgen Creek is the perfect place to enjoy kayaking. We have various tour or hire options and can set you up with great gear that will allow you to comfortably explore the beautiful waterway. With minimal boat traffic, you can feel a million miles away from civilisation as you glide past mangroves and bird habitats, including osprey nests. You can see dainty herons tiptoeing along the shoreline, cormorants sunning themselves on the banks, river rays scooting along the sandy creek bed and – if you’re really lucky – the occasional dolphins. Depending on the age and stamina of the kids (and parents! 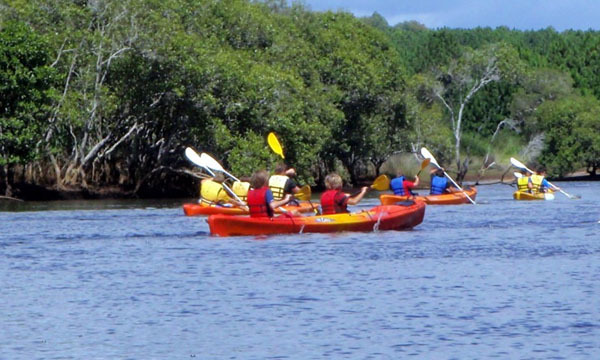 ), you can paddle just a few hundred metres or set out on a serious expedition to Cabarita Lake (9kms) which is listed as ‘nationally significant’ in the Directory of Important Wetlands in Australia as a safe haven for many marine and birdlife species. Looking for a great gift to get your loved ones out enjoying the sunshine? We’ve got you covered. Click here for more info. 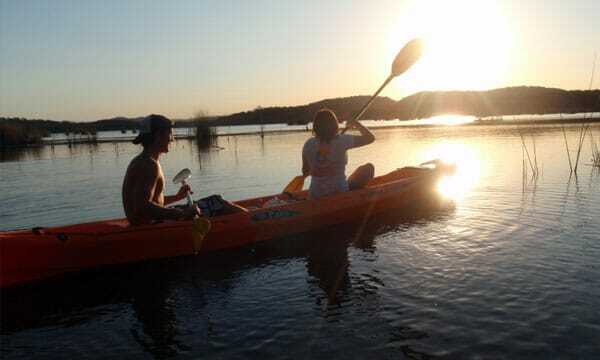 © Copyright 2019 Watersports Guru. All rights reserved.